Who is an appropriate referral to the CARS Team? Students whose ability to succeed academically or to function within expected standards as a member of the Pitt community which are negatively impacted by conduct or decisions made by the student, or by challenges the student faces of a medical, personal or social nature. Students who are impaired in functioning across multiple areas who may benefit from collaborative assistance from a variety of departments working together. What other types of referrals may be more appropriate than a referral to CARS? If there appears to be an immediate threat to self or others, then the Pitt Police should be called at 412-624-2121. If a student communicates concerns regarding one factor impairing their ability to succeed, a referral to the department that is designed to meet that specific need may be the best fit (i.e. mental health challenges can be referred to the University Counseling Center, disability challenges can be referred to Disability Resources and Services, challenges with international status can be referred to the Office of International Services, medical concerns can be referred to Student Health, etc.). If staff members are in need of consultation in order to determine the best resource for a particular student, please contact the CARS Team Liaison in your academic center/department, or contact the CARS Care Manager at 412-624-5756 or PittCares@pitt.edu. If a student’s behavior may have violated the Student Code of Conduct, the referral may be more appropriate to the Conduct Office. Please call the Conduct Office to consult on the situation: 412-648-7910. The Conduct Office can also provide referrals that can assist the student further. If a solution can be composed and executed within the department without needing further support of other departments, then no referral to CARS should be made. What are the steps to refer a student to the CARS Team? Determine if a student meets the criteria for referral to CARS listed above, and be sure to follow protocols in your own academic center/department. Attempt to quickly contact the student to communicate the concern from the department. Communicate with the CARS Team Liaison within your academic center/department, or contact the CARS Care Manager at 412-624-5756 or PittCares@pitt.edu. The CARS Team will follow-up with the referring staff/faculty member if further information or interventions are required or if no further intervention is required. The Threat Assessment and Management (“TAM”) team is a multidisciplinary group that meets and operates on a regular basis and as needed in crisis situations. 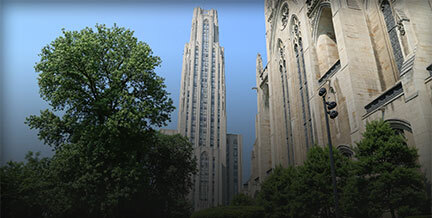 Using principles of threat management, the team is available to receive, review, discuss, evaluate threats or acts of violent harm to members of the Pitt community; to adopt and implement strategies to reduce risk of harm to the University community; and to monitor and reevaluate threats and mitigation strategies.